We encourage you to get involved in our ministries and programs. · Faith Formation students bring up the gifts at 9 am Mass and hold Class Masses throughout the Faith Formation school year, September to May. Sacraments are meant to be an encounter with God, sign of His sharing His life with us (grace). They are an attempt on the part of the Church to extend into the world the actions of Jesus in His humanity (Ray R. Noll, Sacraments: A NEW Understanding for A NEW Generation). Sacraments of Initiation: Baptism, Confirmation, Eucharist. By Baptism, we become children of God, are cleansed of original sin and are called to holiness. Confirmation completes baptism; we are sealed with the Holy Spirit and reaffirm our baptismal vows. The Eucharist is the “source and summit” of our faith, and is the center of the worship of the Church as well as the “living bread” and His body and blood that Jesus promised us to sustain us and strengthen us. The Parish Life Committee is a vibrant group of Parish Members who plan a number of activities to support a number of great works. The committee has awarded over $10,000 in scholarships, purchased Altar Cloths, given support to CSCAA and much more. The committee is only able to do this with your support. Our April Family Fun Day is our largest fundraising event. We sponsor Coffee Hours and Parish events throughout the year. If you are interested in working with us, contact Karen Brennan at the Rectory for further information. 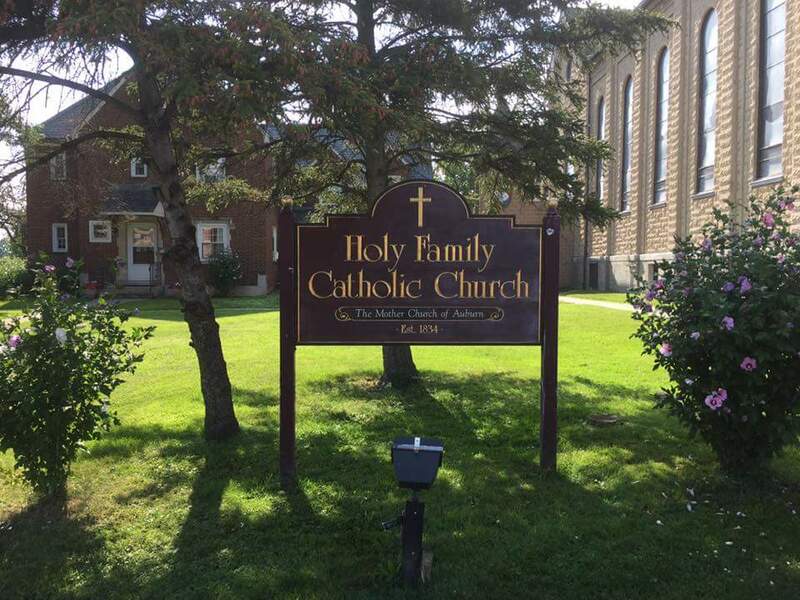 The Council is a decision making body composed of at least nine members selected from the Holy Family faith community. Selected members shall serve for a term of three years. Total number of terms shall not exceed two within a ten-year period. .The Liturgy Committee is concerned with bringing the parish community and others closer to God through faithful observance of the Church's liturgical norms and guidelines, especially the Mass and other liturgical rites. It seeks to nurture and deepen the parish's public and private prayer life by encouraging full and active participation through well-planned and well-celebrated liturgies including providing for appropriate liturgical settings and the proper participation of liturgical ministers during all parts of the liturgies. The Clothes Closet offers free clothing to members of the Community. Donations are sorted by Parish and Community Volunteers. The Clothes Closet is open to the Community on Tuesdays from 10am to 11am and Thursday evenings from 6pm to 7pm. 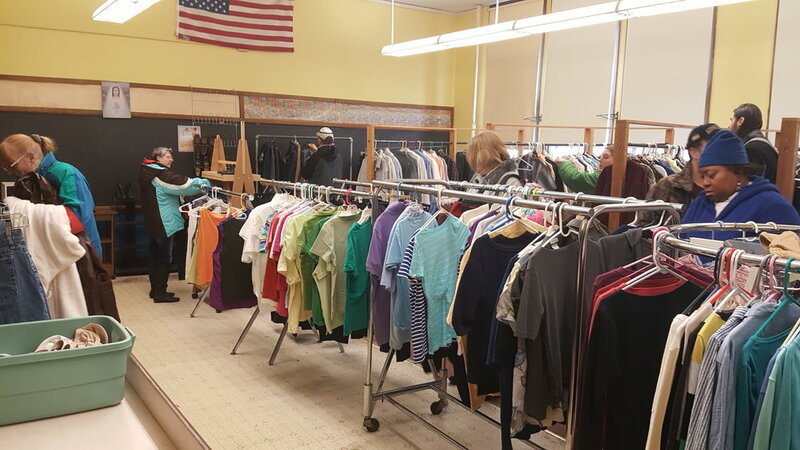 Volunteers are needed to sort and hang clothing. Donations of gently used clothing are welcome. We can especially use towels and sheet sets. CYO Athletics is part of the diocesan Department of Evangelization and Catechesis and part of Youth Ministry outreach. There is an obvious component of evangelization in CYO Athletics; an opportunity to strengthen the connection of baptized Catholics to their Church and an opportunity to be a witness of what a Catholic Christian believes and lives to those who are not Catholic. For these reasons we enforce the following principles. Consider Contributions by direct deposit.